Accessibility at Lexmark - Solutions that Optimize Customer Productivity for Varying Levels of Abilities | Industry Analysts, Inc.
At Lexmark, we understand the specific needs of people with varying levels of abilities. We have established external relationships with design experts and accessibility analysts, to draw on their insights to improve our future products and solutions. The result is innovative approaches that make it easier to use our systems to accommodate a wide range of unique user needs while also addressing a variety of accessibility guidelines and regulations. Looking for more accessibility information? 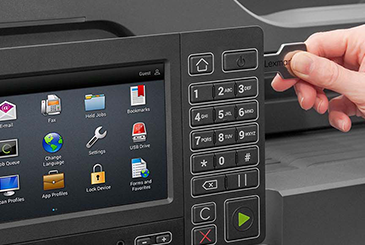 Email accessibility@Lexmark.com for help! This entry was posted in Lexmark and tagged Accessibility, Lexmark, productivity, Solutions by IA Staff. Bookmark the permalink. ← Previous Previous post: Kyocera Celebrates 60 Years With 60 Acts Of Giving Back! Next → Next post: Scan it. Store it. Find it. Without IT.